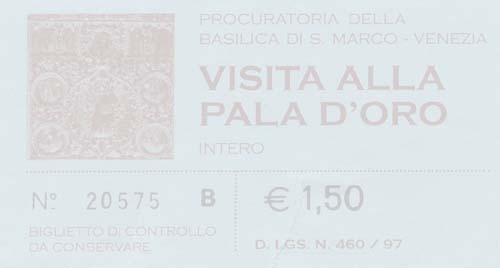 Before we left home, we made a reservation to stay in Padova. We chose Padova because it is less than an hour by train from Venice, and we had read that rooms in Venice itself were both scarce and expensive. We spent the remainder of the day exploring Padova, and the next three days checking out Venice. It is possible to drive to Venice (there is parking at the edge of the city), but within the city all movement is by boat or by foot, and the Lonely Planet guidebook says, "The secret to seeing and discovering the real romance and beauty of Venice is to walk." 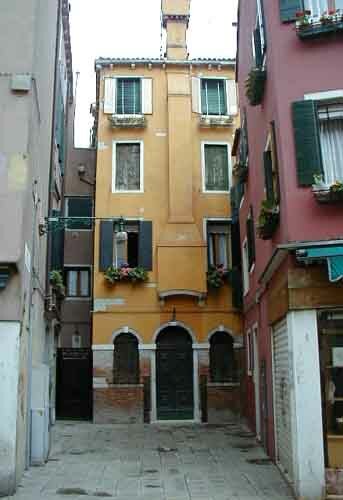 The city is a maze of narrow walkways and narrow canals with a few larger walkways and canals thrown in. The Grand canal, forming a backwards 'S' through the center of the city, is the largest. The main means of public transit are vaporetti - small passenger boats - that have stops primarily along the Grand Canal and the outside of the major islands. There are also traghetti - small ferries that carry groups of people across the canal. And of course there are gondolas for sightseeing. The major tourist spot seems to be Piazza St. Marco, which must be the largest open area in the city with the Basilica St. Marco at one end. From the Piazza there is a broad walkway heading east along the shore past vaporetto stops, private boats, vendors of ice cream and souvenirs and views of the water. At the far end of the walkway are the grounds of La Biennale; an international art show with buildings representing a large number of countries including the US. During our three days in Venice I walked around most of the city just wandering wherever the walkways took me and I saw lots of interesting stuff including a water ambulance, A bicycle training rally, laundry hanging in the sun, and some interesting doorbell buttons. This was our last Italian city. From Venice we boarded an overnight train for Vienna, where we had only a couple of hours before continuing onward to Poland.